Thanks to a generous gift from the Washington Research Foundation, the UW Clean Energy Institute was able to recruit three postdoctoral fellows to work in CEI labs starting in 2015. These fellows will translate lab research into markets strategies and products that will support and expand a clean energy economy in Washington and globally. Dr. Zhibin Yang earned his Ph.D. in Polymer Chemistry & Physics from Fudan University, China. His research interest lie in the rational design of new functional materials for energy conversion and storage devices, such as solar cells, supercapacitors, lithium ion batteries, and light-emitting diodes. He is developing a high performance, self-powered system by integrating perovskite solar cells with energy storage devices. 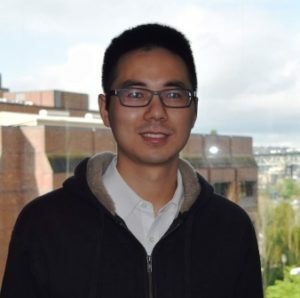 He is currently working on scaling perovskite-based solar cells using roller coating and blade coating and studying the photoeletronic behavior of these material, working in the lab of MSE professor Alex Jen. Dr. Zhaoxia Qian received her Ph.D. in Chemistry, University of Pennsylvania. 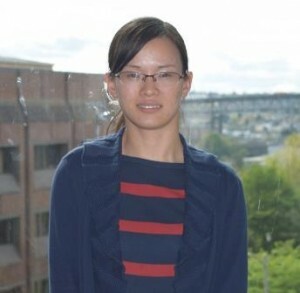 She is interested in controlled assembly of metal nanoparticles with enhanced optical properties and developed a novel method to synthesize a large library of nanoparticles She also is currently working on plasmonic nanomaterials and connecting solar energy to chemical energy; specifically splitting water molecules into hydrogen and oxygen gas to eventually replace fossil fuels in applications such as automobiles and electricity generation. She is working in the labs of Chemistry professors David Masiello and David Ginger. Dr. Carl Brozek earned his Ph.D. in Chemistry from MIT. 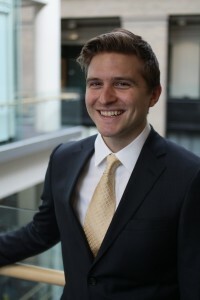 His research include advancing solar fuels technologies, and working on practical aspects of chemistries in creative new ways that combine electrochemistry, photophysics, photoelectrochemistry and inorganic catalysis. He will join the lab of Chemistry professor Daniel Gamelin this summer.